We all have questions about Jesus, but very few of us get the answers we're looking for--if the answers even exist! New York Times bestselling author Eric Metaxas understands how hard it can be to get hard truths, which is why he wrote this hilarious, entertaining guide to the most influential individual to have ever lived on the face of the earth. 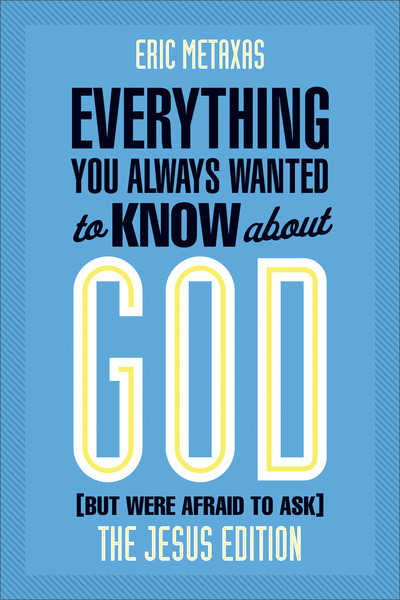 Like his previous books in this style, Everything You Always Wanted to Know About God is a book that takes questions about the Son of God seriously enough to get silly--where appropriate. Metaxas covers questions about Jesus' life (Did he live at all? ), his death, (If he truly was the Son of God, why did he have to die? ), his resurrection, (Did Jesus really come back after death? ), and much more.